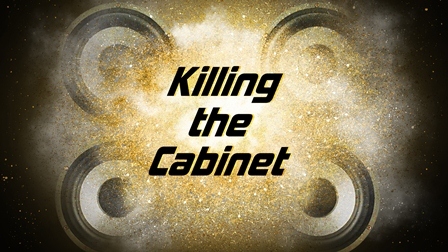 Interview done by ktc mgmt with Pontus Winnberg. It all started as Bloodshy and Avant. Now it’s Miike Snow. Was this the plan all along? PW: We have been playing in various bands since we were kids. I don’t think that any of us had a specific plan to give that up and do work for others instead. It was more a good way to make a living when people started asking for it. 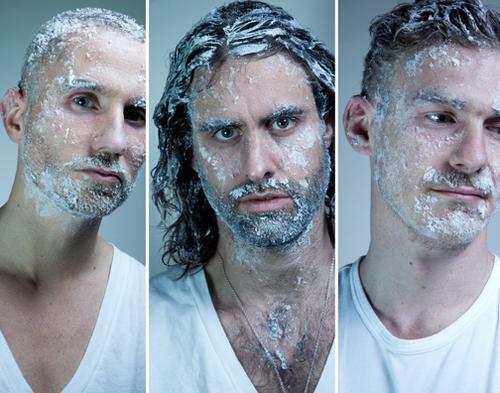 Is it true that your band name Miike Snow came from a combination of a friend who’s name was Mike Snow and the controversial japanese film maker Takashi Miike? If No, please explain where it came from if Yes, please answer “Speaking of film makers, does the band or band members all appreciate one particular film. ie. The Godfather, The Pianist, Gone With The Wind, etc. Can you explain why you all connect to that film? PW: When we sat down to come up with a name one of us got an email from a mutual friend by the name Mike Snow. We liked it and added the extra I because we liked the look of it. We once found a possible classic Swedish film on our tour bus once, called “Jävligt Jagad.” Its a bit like if Bergman’s ancestors would make a movie inspired by Takashi Miike. Your video for “Paddling Out” has this futuristic, meets Victorian (without being steampunk) theme alongside a disturbing Twilight Zone situation. How involved were you in the concept? PW: We sat down with director Andreas Nilsson and discussed different things we liked. Then he came back with these ideas and we loved them. Who is Jean Noel? Where did the name come from? PW: I believe that there is a man in Finland with that name. I don’t know much about him. It seems as though it could represent so many different things and the fact that, ultimately, we will all be staring at it is cause for intrigue… What does “The Wave” mean to Miike Snow? PW: We don’t want to give away our interpretation of the lyrics since ours isn’t more correct than anyone else’s. We’d rather let it be what people think it is. The saga that takes place in both of your videos for “Paddling Out” and “The Wave” are these complex stories that viewers can piece together and perceive as symbolic in whatever way is fitting for their individuals lives. Does Miike Snow share a singular interpretation of these videos? PW: I dont think there’s a singular interpretation of the videos. I love the fact that people have their own that you can read in the comment sections on youtube. Many of them are better than mine. On your Facebook profile, you share how this album is not technically “clubbing” music. And of course listening to it, it’s not. How do you imagine your fans best appreciating this album, using it as a muse for artistic creations, getting ready for their night out on the weekend, on the beach as a relaxing and meditative tool? PW: I can see our music fitting into a very late night/early morning scenario. Maybe after a good night out. What are your thoughts on the insatiable Sky Ferreira? PW: We love her. She used to hang out with us a few years ago in Sweden. 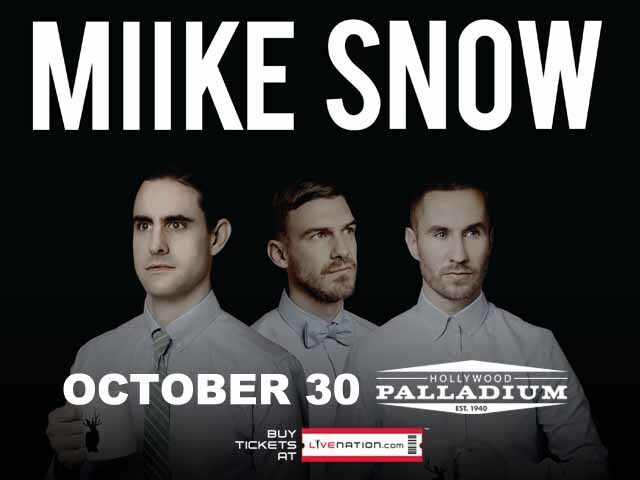 You have a highly anticipated show at the Hollywood Palladium on October 30th. What’s your favorite thing to do while visiting “the city of angels“? PW: I love Los Angeles. I always try to take a drive along the water or hang out by the beach for a bit when I’m there. What is the most interesting story you’ve heard from a fan about their connection to one of your songs or videos? PW: The closest connection to one of our songs that I have heard a fan of ours had is tattooing the lyrics of her favorite Miike Snow song on her body.